In this day and age we all know that scams are everywhere. More prevalent than ever right here on the internet. Trying to avoid scams can sometimes feel like walking in a minefield. You just don't know when one is going to explode and take you with it. As moms wanting to work at home, we are vulnerable to scams the most in my mind. Maybe we're just updating our Facebook page or getting the latest celebrity gossip – next thing you know, there is an ad that is intriguing to us and we've taken the bait and now on the site of the scammer. The ad copy is appealing, the promises are amazing – and though we have a gut feeling it's pie in the sky, we can't resist. It's only $9.95?! Right?? I'm embarrassed to say how much I've lost buying into these get rich schemes and scams. And I'm careful! But to me, scams are more than just flat on “take your money” schemes. I feel like sites that have malicious malware, viruses and spyware on them are just as bad. There are phishing sites that try and get our info as well. Many will try to nab your personal information or your credit card information. Some will use it for identity theft and some will simply charge up your card and you're left to pay for it unless your bank or credit card company offer some kind of service to combat fraud. I had this very thing happen in December of 2004. MY bank, Bank of America refused to pay the $100's in charges that the theft made. And it was obvious to everyone they were not typical charges on my account. So even with “promises” from your bank – you may never recover your money. It was a hard lesson right around the holidays. If we don't protect ourselves, we'll fall victim over and over again. That's why I created this section here at MoneyMakingMommy. To help flush out those scary scams, schemes and viruses. From envelope stuffing to backdoor trojans – I will do my best to bring you updates and information that you need to know to stay safe. You are always welcome to email me as well to let me know if you've come across something that flat out scammed you as well, or maybe even something you've seen on the news. By becoming our own savvy village, we can rise above the junk and hang on to our money and sanity. Below I have created scam categories and will add info as often as I can. This is a new section, so I will be building on it. If you think of a section that needs to be added, then by all means – feel free to contact me. You can also submit your own articles on scams, identity theft, viruses etc. Simply read over the submission guidelines and send me your article. Some scam categories might overlap – but I do this to make sure that every aspect of scams are covered thoroughly. These can range anywhere from work at home scams to *free products where you supposedly only pay shipping. A lot of times the rules are in small print – really small print and they are confusing at best. Sometimes just opening an email of going to a website can cause big-time disaster for you. You might realize it because it could be a silent backdoor trojan or worm. Or sometimes it can instantly destroy your computer files or worse, your computer. Our hearts always go out to earthquake victims, flood victims and other natural disasters. And we want to help. It's human nature. But preying on that nature is disgusting. But it's done all the time. I've fallen for one of these. A teenager came to the door selling magazines to win a trip. I could purchase magazines for a hospital like Shriners. Later I found out, it was a fake scheme in order to obtain money for a cult. No joke. This is very scary indeed. I always wonder how people that do this sleep at night? We've all gotten those calls from someone wanting us to donate or buy something. Or they tell us they need to verify our credit card info. Never do it. Similar to telephone scams and identity theft but web-based. 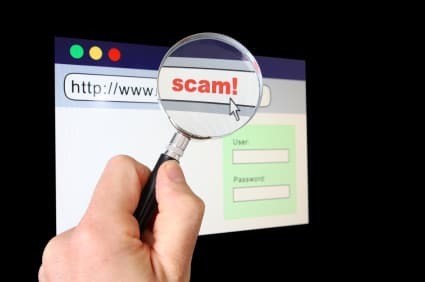 I try to keep an ear to the ground and pay attention to any internet chatter regarding scams. I try not to jump the gun and just assume something is a scam – but if there seems to be pretty legit evidence – I report it here. I don't want to see anyone have their hard earned money taken by someone or a company that is out to just scam people. It's wrong and I have no problem calling them out. Again, I want to be fair and I don't just jump on some bandwagon when someone has a negative comment about a company. You are welcome to comment below if there is something you feel needs to be looked into or something needs to be reported.